Want an Upgrade to Hawaii? Be the Highest Bidder! Coming to Hawaii this summer, but don’t want to travel economy class on Hawaiian Airlines? You may be in luck — if you’re the highest bidder that is! According to Travel Pulse, Hawaiian Airlines is the latest in a string of airlines offering upgrades to premium class via auction. It joines airlines, such as Lufthansa, Cathay Pacific, Quantas, and TAP Portugal who are already using the system to bring cheap upgrades to flyers. The online travel website reports that, if you’re eligible to submit a bid, you will receive an invitation to join the auction about one and a half weeks before your departure date. Then, you can then log in to the system and look at the details of the contest. Hawaiian Airlines is the latest airline to offer upgrades via auction. Every bid must meet the minimum price (and it cannot exceed the maximum amount either). The minimum bid is not the same for every flight. Variables like destination, day of the week and departure time can all factor into how the airline figures out the minimum amount required to participate. If you’re successful in winning a bid for an upgrade to Hawaii, you’ll be notified about two days before your flight. You’ll get all the same perks as full-paying business-class fliers, including priority check-in, lounge access and two checked bags. 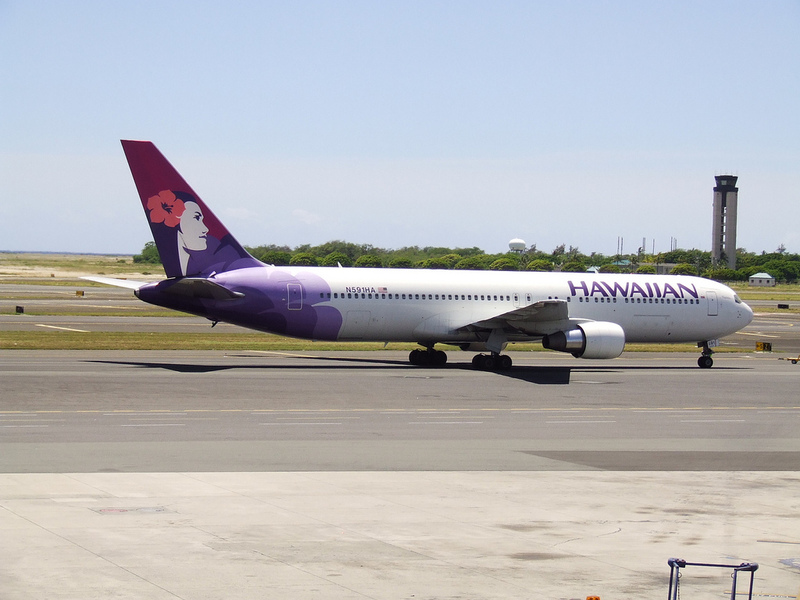 However, Travel Pulse reports that, although Hawaiian is expanding its international routes, the initial auctions will only cover flights between Hawaii and the U.S. Mainland. This means that you cannot bid on upgrades for flights to or from Japan or Australia to Hawaii, for example. The business-class baggage allowance is only applied to the auctioned leg of a trip. That means that if you fly to Hawaii from the Mainland after winning an auction, you may still have to fly back home in economy class, and therefore be subject to economy class baggage restrictions for this return trip. Frequent flier miles can only be earned for the original economy class ticket, not for the auctioned upgrade. So even though you’re sitting in business class, you won’t earn business class mileage. You’re not able to pre-select your seat. You can choose where they sit during online check-in, but your options will be limited to the seats that have not already been chosen by full-fare business class fliers. Economy seating on airlines isn't always the most comfortable, but, hey, you're coming to Hawaii on vacation! 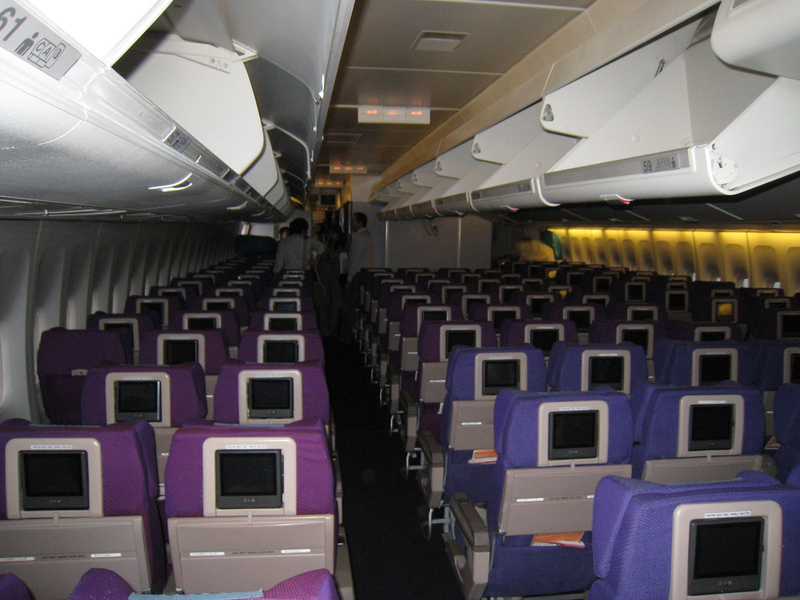 Travel Pulse also reports one more drawback: If you’re a Hawaiian Airlines frequent flier who usually travels in economy class, you may have less of a chance of getting a free upgrade to Hawaii because more business class seats will be reserved for auction. Selling upgrades in this way is good for the airline’s bottom line, but it could frustrate frequent fliers who have, until now, been able to use their status to request and occasionally receive free upgrades. Bidding on upgrades may be a mixed-bag of advantages vs. disadvantages, but it seems the system is here to stay — at least for a while. In the meantime, you can always save when booking your flight through Hawaii Aloha Travel’s All-Inclusive Hawaii Vacation Packages. Your travel professional can help you understand the auction system and book the most affordable flight to Hawaii. So, whether you bid on an upgrade or count your blessings in economy, a Hawaii vacation is a reward in itself. So, explore the auction, and see if it’s right for you!